You guys know I love Onzie by now right?! …Their range fits my fitness loves – yoga and cycling / spinning. Why I love this: I wore these leggings for yoga one morning. I love the coverage they provide – I’m not the girl with see through pants. I am the girl who brings a bit of glam and sparkle to class though! I then rocked them on an out and about day where it was raining. They got wet of course, then dried quickly keeping me comfortable. Next up I rocked them in spin class! Why I love this: It’s perfect throw on for class or just out and about. the fabric is the same technical fabric as Onzie’s other products so it’s fast drying and light. I find the sleeves a little on the short side but this doesn’t bother me. Why I love this: I meant to take this top with me to Ibiza for the beach but in a last minute rush I forgot. I’ve not yet worn it to workout because on it’s own I don’t feel supported enough. I absolutely love the colour though and when I hit up a less vigorous yoga class I will throw it on under a loose top for sure to show it off. 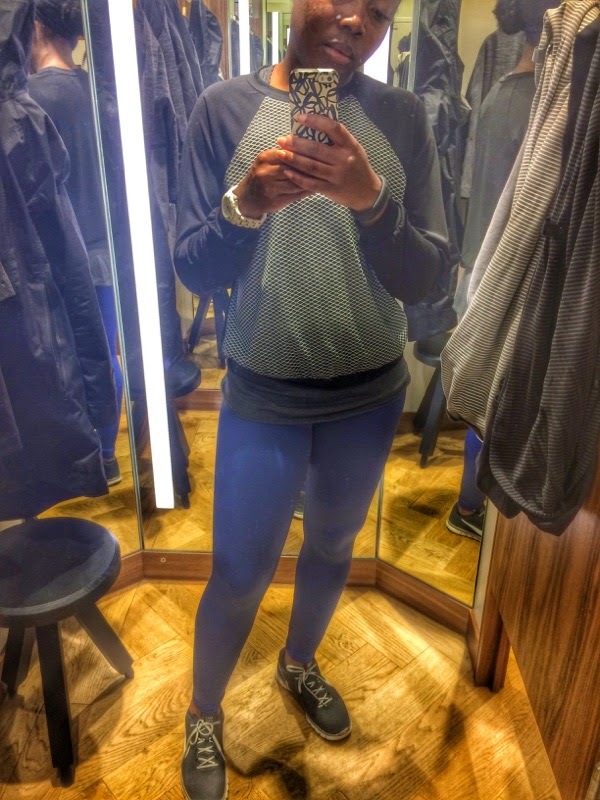 What’s jazzing up your workout wardrobe this Fall / Autumn?! 100% made in Los Angeles, Onzie Active Apparel blends the best of traditional yoga wear with modern innovation and a touch of whimsy. We utilize a Free-Flow Fabric Technology resulting in durable and breathable material which keeps the body cool, dry and comfortable. Originally created by a Bikram Yogi for hot yoga, Onzie is also perfect for pilates, spinning, running or any active lifestyle. We are best known for our unique and fun prints that can be found at www.Onzie.com and at yoga studios around the world. COLORFUL LEGGING are MY THING!!!!! I LOVE THEM 🙂 So obviously I am totally obsessing over these! I love the Onzie gear, we stock it at the studios and it sells so well for yoga and spin. Never tried one of their sweatshirts though, looks really comfy.